Norwegian outfit The Soundbyte have made their new album Solitary IV available to stream in full with Prog. The record will be released on June 30 via Temple Of Torturous – but Prog readers can listen to all seven track below. Speaking about the new album guitarist Trond Engum exclusively tells Prog: “For us, Solitary IV is as much a monument as it is an album. “It’s defined aesthetically by signature guitars, expressive drumming, contrasting string arrangements and raw vocal performances. 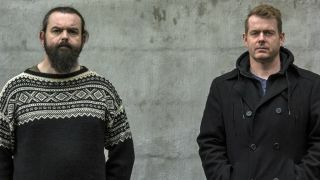 Joining Engum in the band is drummer Rune Hoemsne, with the pair previously playing together in experimental outfit The 3rd And The Mortal. Guest vocalists Tone Ase and Kirsti Huke also feature on the record. The album is now available for pre-order direct from the label’s website. Find the stream, album artwork and tracklist below.